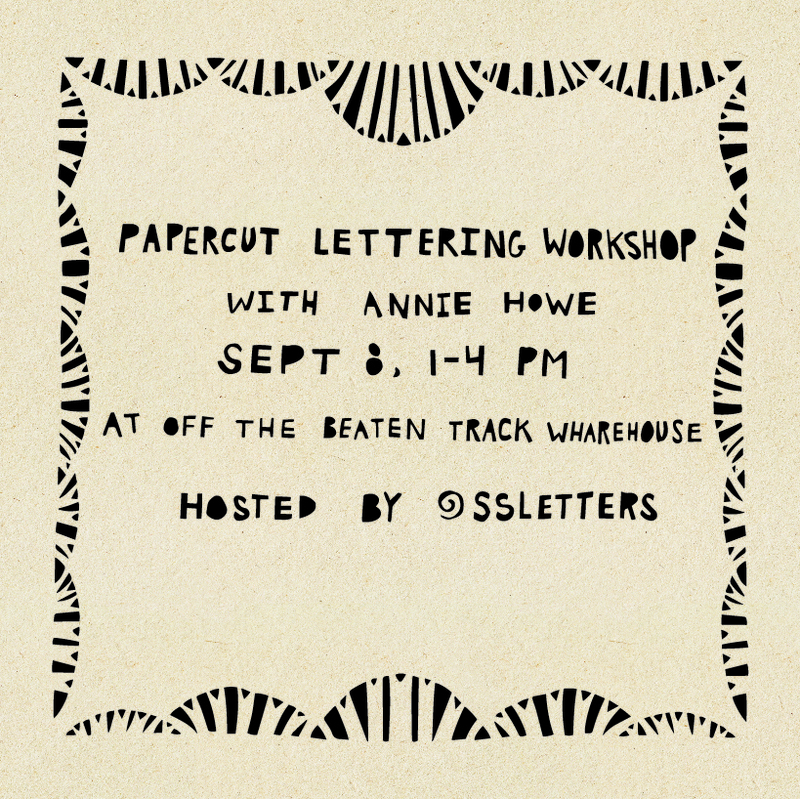 Join us for a paper cut lettering workshop with paper cut artist and illustrator Annie Howe! We are so excited to have Annie bring this special workshop to us this fall. She will walk you through paper cutting and how to design lettering to be papercut. In this three hour workshop you will learn the basics about papercutting and how to create your very own custom papercuts. Annie will cover the nitty gritty details of how to use lettering in your papercuts as well as adding in your own special details and elements to your designs. Workshop participants will leave with at least one finished and framed papercut and the resources to keep papercutting at home. This workshop is held at Handmade Habitat's studio at Off the Beaten Track Warehouse.